Walking is a truly wonderful activity. But getting from point A to point B under your own steam is not necessarily part of the plan for many Manitobans, even for short trips. This is partly a product of habit. We hop in our vehicles, drive to our destination and park as close to the door as possible, eliminating the need for that thing from which we can all benefit - the physical exercise of walking. Well, among other things, it increases your energy, reduces fatigue, gives you a healthy blood pressure level and improved digestion, prevents osteoporosis (a condition where bones become brittle and fragile), relieves stress and tension, and helps you maintain a healthy weight. Walking regularly can also give you a mental health boost, and if you do it with friends, it's a great social activity. Yet some older adults can't get beyond the stage of thinking about walking. This might be because they don't have confidence in their balance or gait, and they fear they might fall. There is a solution to this problem that's starting to gain traction among older adults. Urban poling - the Canadian version of Nordic pole walking - uses walking poles to provide balance and stability, and to increase mobility. This type of exercise has been popular in Europe for many years, and is being added to the exercise routine of many Manitobans. Urban poling is a bit like cross-country skiing, without the skis. 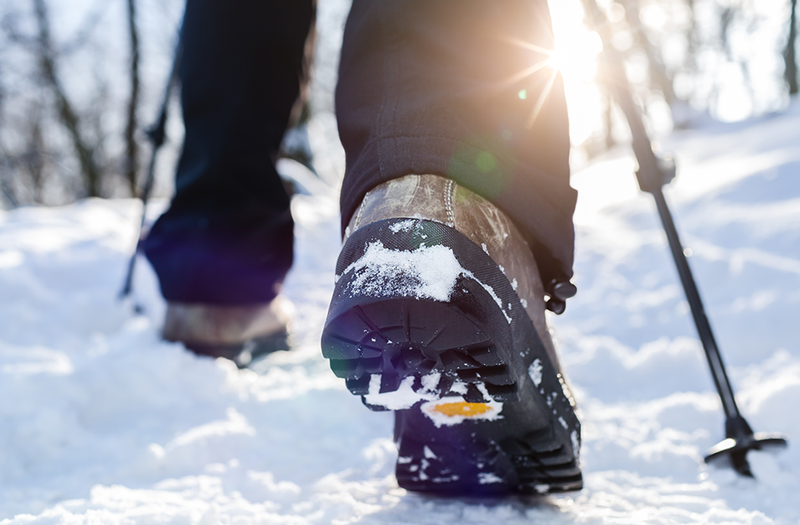 All you need to start is a pair of poles and a good set of walking shoes. Taking a class in urban poling is also good, but more on that later. Then you go for a walk. As you take steps, you swing alternate poles with your arms, planting them on the ground ahead of you. This gives you two points of contact with each step: the foot you have on the ground and the pole on the opposite side from your foot. This helps reduce the strain on your ankles, knees and hips. You start out with a short stride and swing, and work your way up to a more vigorous swing and walking pace as you gain confidence. With every stride you take, you are contributing to your core strength and upper body toning while expending a few more calories. Other proven benefits of urban poling include an improvement in posture, reduced strain on hip, knee and ankle joints, and improved strength, as poling can engage up to 90 per cent of your muscles. Poling can enhance the mobility of people who may be concerned about balance and stability related to pre- and post-knee or hip surgery or those living with chronic conditions such as diabetes or Parkinson's. Urban poling can also add to the experience of avid walkers and hikers, who enjoy some extra spring in their step. Active Aging in Manitoba (AAIM) does demonstrations on urban poling, and has sets of poles available for purchase by individuals, or multiple sets for groups and organizations who wish to make urban poling available to their members. 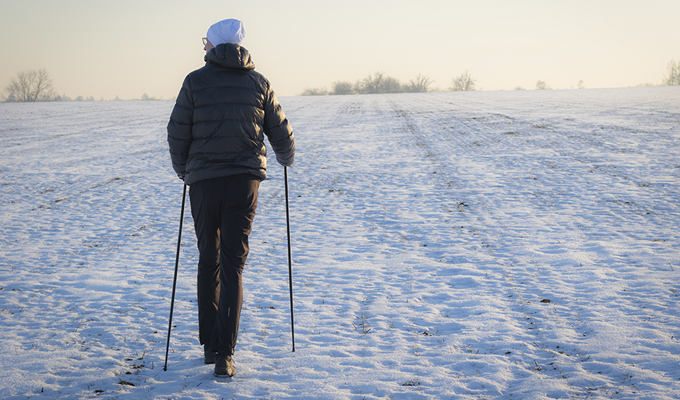 AAIM also has a Nordic Pole Walking event in the annual Manitoba 55 Plus Games. For more information on urban poling, or to arrange an urban poling introductory session, contact info@activeagingmb.ca or call 204-632-3947. Jim Evanchuk is the Executive Director of the Active Aging in Manitoba. This column was originally published in the Winnipeg Free Press on Friday, Nov. 9, 2018.